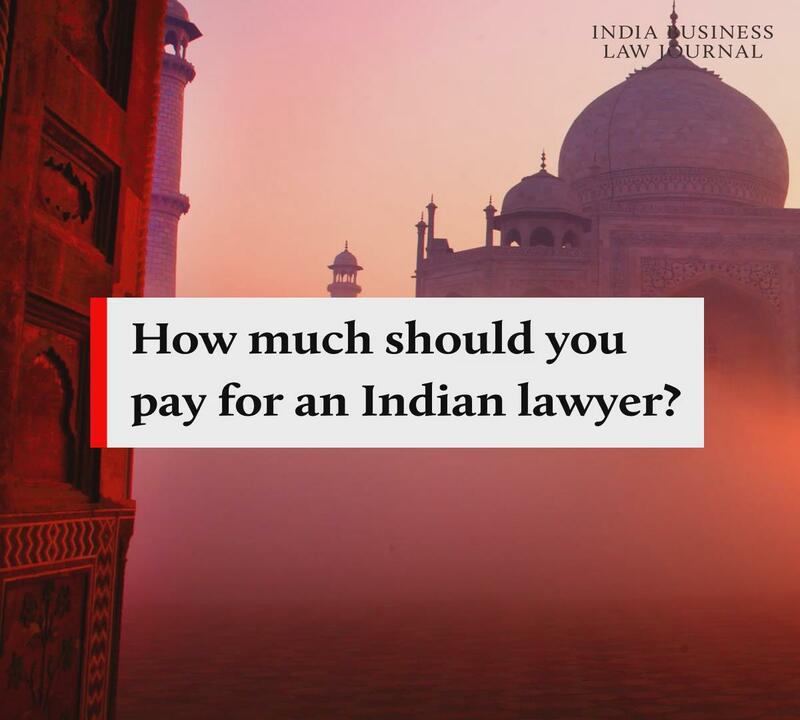 Hourly billing rates across Indian law firms have climbed, rebounding to match 2016 fee averages and in some cases surpassing these figures, according to a survey of Indian law firms by India Business Law Journal. 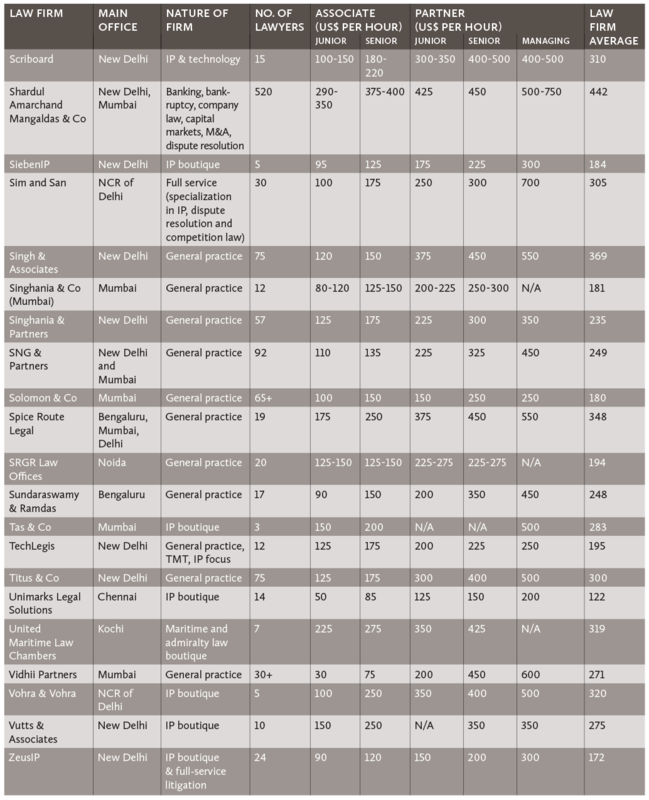 A quick scan of the results of the survey and the accompanying infographics show that the numbers matter as they provide a useful benchmark of legal fees in key Indian markets each year. Our 2017 survey had shown that rates fell noticeably across all categories based on data that included full-service giants and tiny niche firms. Interestingly, however, higher fees this year haven’t done much to deter the negotiating power of corporate counsel. This, in addition to the tight competition among firms, means that while hourly rates are dearer this year, a client’s final invoice may look quite different. So, while baseline fees seem to have risen, lawyers themselves still believe that firms are cutting rates to retain clients. Discounts are normally reserved for loyal clients or those who promise repeat work, but this is no longer the case, according to several observers. 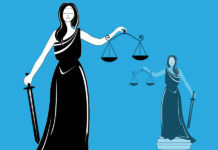 Corporate counsel have become increasingly spoiled for choice with a parade of boutique and specialist firms, full-service giants, veterans and fresh graduates as well as reputable mid-sized service providers vying for their business. Jostling for position means flaunting your best partners, showcasing industry knowledge, and of course, offering attractive prices. Loosening their purse strings isn’t always necessary to get the best legal advice as corporate counsel have learned, particularly as many consult external legal counsel only occasionally, relying on their internal resources instead. This reduction in work outflow and a strong negotiating power have contributed to the demise of hourly billing. Rahul Chaudhry, managing partner at Rahul Chaudhry & Partners, says law firms are very careful with their pricing strategies. “Given the cut-throat competition and client pressure to rein in legal costs there is a move towards a fixed fee arrangement for all our activities. The hourly billing rate is only for litigation matters. In order to maintain long-term relationships … we are embracing alternative billing as a way to meet the needs of cost-conscious clients.” (For more on alternative billing, see the following table). At IndiGo, our model is to do most of the work in house. IndiGo’s team of 22 lawyers has drastically reduced our dependency on domestic law firms. I think the strategy that has worked for us is to get bright lawyers in house and make them captive rather than forward work to law firms. Other than litigation fees, which are unpredictable, this model definitely helps manage the budgets better! “There is definitely a shift away from the hourly billing rate,” says Ameeta Verma Duggal, founding partner at DGS Associates. Jayendra Kapadia, managing partner at Little & Co, notes that some clients prefer certain firms “only because they are cost-effective irrespective of their experience”. But there may be a heavy price to pay for negotiation if corporate counsel are not discerning about their choise of law firm. By resting on their laurels, in-house lawyers may risk receiving poor legal advice. “Law firms are low balling fees to an unsustainable level in the greed for deals,” says Priya Mehra, general counsel at IndiGo Airlines. It’s a vicious circle – large firms, hungry to keep lawyers busy and meet billing targets, charge low fees but do not deliver adequate quality, she says. This year’s survey sees the inclusion of two top tier law firms – CAM and SAM. 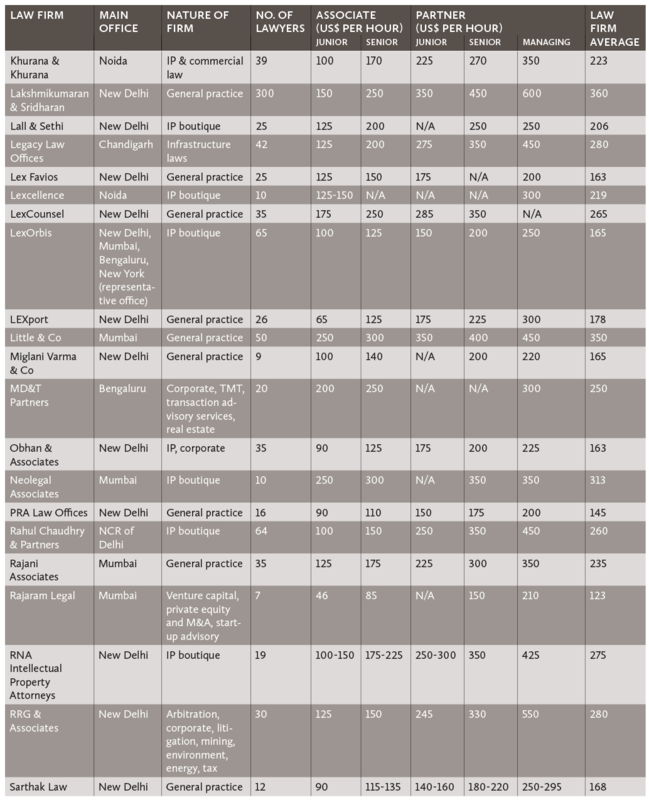 In the past decade, most of India’s top-tier law firms had refused to reveal their billing rates, citing privacy and confidentiality. The participation of CAM and SAM this year suggests change may be on the horizon as firms at the peak of their game show they are unafraid to be open about their billing practices. 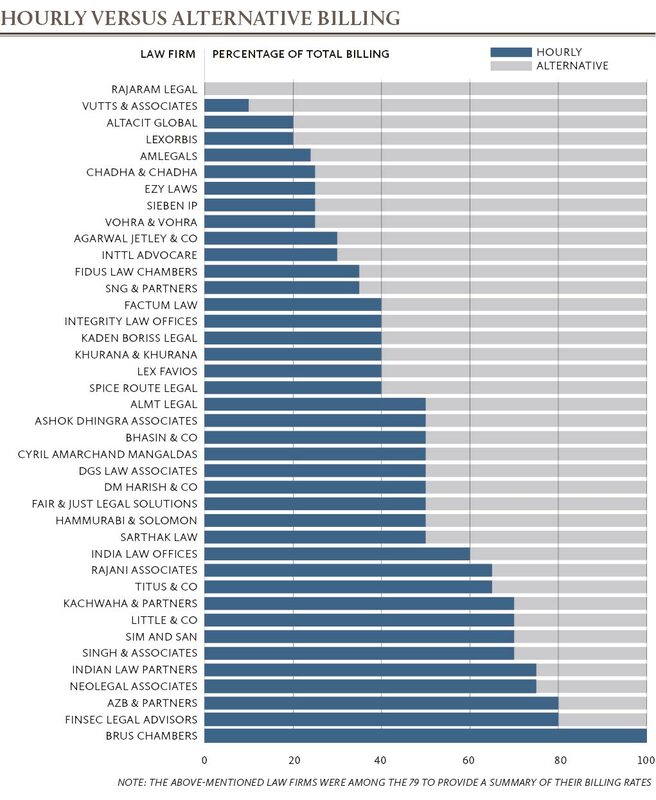 Comparing CAM and SAM’s rates with those of other large firms such as Lakshmikumaran & Sridharan, mid-sized old-timers, as well as smaller firms will provide insights on legal fee structures across the spectrum. Since a majority of the participants are small or mid-sized law firms, our findings are more reflective of trends among them. This year, billing rates increased across all categories – from junior associate to managing partner – with the average hourly rate for a lawyer rising 5.7% to US$240 from US$227 last year. The hourly rate for a junior associate increased 5.8% to US$128 from US$121, while that for a senior associate climbed 6.5% to US$179 per hour from US$168. 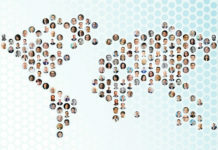 The average junior partner rate grew by 7% to US$245 from US$229 per hour. 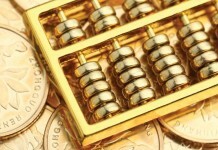 Senior partner rates saw the sharpest growth, rising 8.2% to US$317 from US$293 per hour. Managing partner rates also rose by 7.1% to US$375 from US$350 per hour. 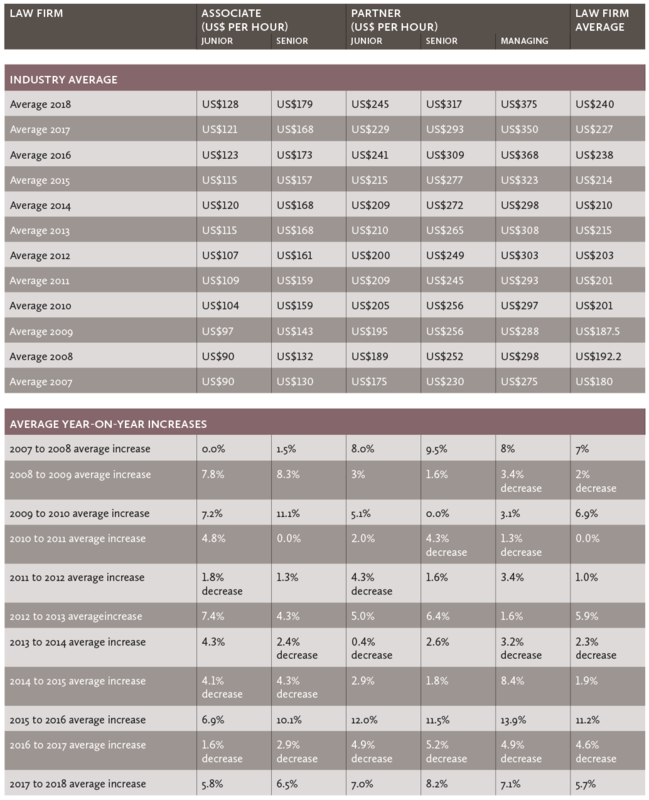 This year’s rates appear to have bounced back following reductions across the board last year and now closely resemble the rates recorded by India Business Law Journal’s 2016 survey. While corporate counsel may be keen negotiators, many say they are willing to fork out more for good value legal advice. Valuable legal advice means – “experience in a particular area”, knowledge “over and above what in-house counsel already know”, “quick turnaround time” and “prompt and practical advice”, according to in-house lawyers surveyed in this report. 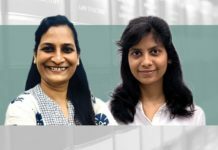 Harshitha Thammaiah, general counsel at Xiaomi in Bengaluru, says she looks for the “practical and creative application of law” as well as “valuable insights on industry-wide practices” when assessing the value offered by a law firm. 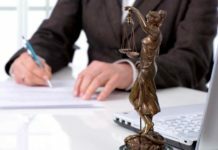 “Expertise backed by actual work experience in a particular field and having similar companies as part of their clientele would be plus points to consider paying a law firm a higher fee,” she says. 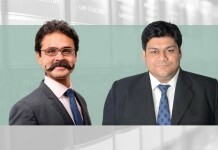 Mohit Shukla, managing director and head of legal at Barclays India in Mumbai, echoes this view, saying that a law firm’s awareness of a particular business “adds great value and helps distinguish it from the value that theoretical knowledge provides”. 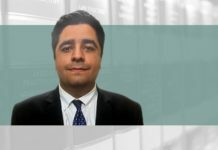 Shukla further adds that clients should be willing to pay more if a firm is able to respond to a critical issue, promptly and with well-considered views. 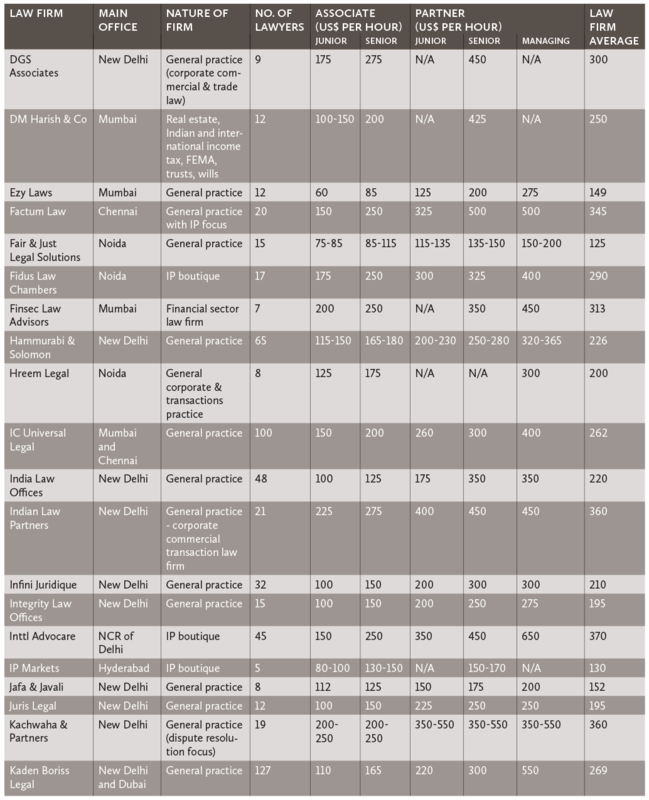 “Many of the smaller Indian law firms offer value for money services,” says Ganapathy. He defines “good value” as the ability to deliver the best results quickly, whether this relates to a simple template of a contract or the completion of a complicated takeover. In determining value, Ganapathy considers whether a) a firm understands or is willing to understand his business; b) they have the required expertise; c) they will be helpful in the long-term and invest in significant resources for his business; and d) they are flexible and willing to engage with other counsel if they do not have the necessary expertise. A key frustration for some corporate counsel, points out Gopinath of Embassy Property Developments, is that “Indian clients pay for the learning curves of law firms”. In short, corporate counsel expect meticulous advice and will be ready to take their work elsewhere if law firms are not up to scratch. In contrast, firms that can demonstrate superior knowledge of an industry while helping execute a deal may be able to command a higher fee, even on an hourly basis. Corporate counsel are known for running a tight ship to efficiently manage their legal budgets. 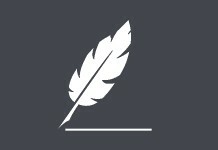 But what do law firms do to prevent clients from crossing their legal spending limits? In addition to itemized billing, Sheetal Vohra, managing partner at Vohra & Vohra, argues matters on behalf of her clients instead of engaging senior counsel, which she says could save them nine-tenths of the cost they would otherwise pay (for more on senior counsel fees, see the following section). 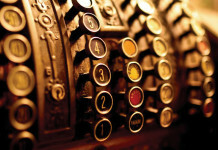 THE END OF HOURLY BILLING? Dislike the final sum on your legal bill? Hourly billing must be to blame. Hourly charges have developed a bad reputation, like a delinquent child, labelled for time wasting, inefficiency, procrastination and tardiness. The rejection of hourly billing has forced law firms to come up with creative ways to charge clients. Vaibhav Vutts, managing partner at Vutts & Associates, says his firm uses fixed charges as this is a top client preference. “Even for work that cannot be quantified, we create a ballpark figure and try to work within that figure,” he says. 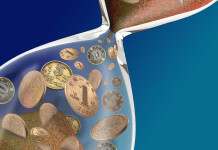 LexOrbis and Chadha & Chadha among other firms, offer flat fee packages. LexOrbis uses this model for all drafting, filing and prosecution-related work for all forms of IP applications in India and other jurisdictions. “Even for unpredictable actions, such as writing opinions and litigation, we try to cap the budget by anticipating the attorney hours likely to be spent on such actions,” says managing partner Manisha Singh. In addition to flat fee billing, Chadha & Chadha offers a retainership option to regular clients for routine and predictable work. “Clients are more comfortable working on pre-estimated or confirmed costs rather than hourly billing,” says partner Gopal Trivedi. 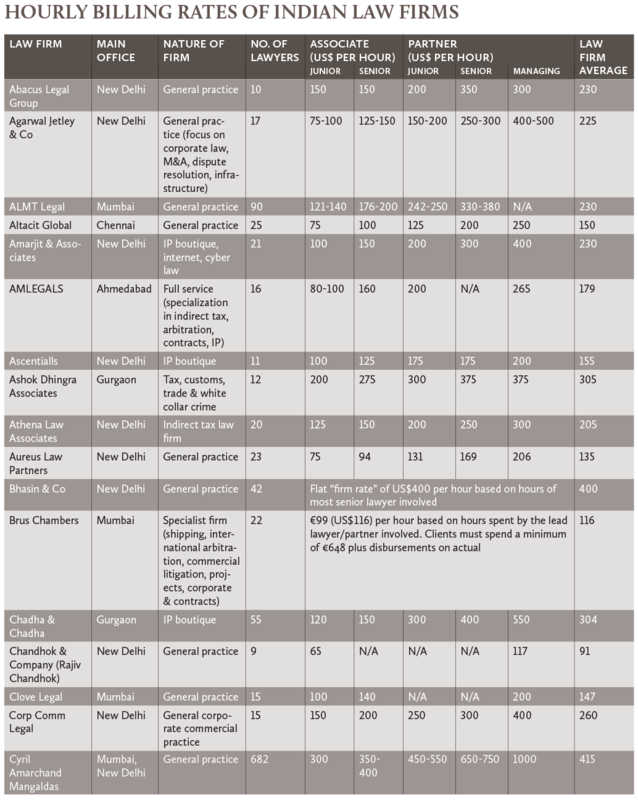 Hyderabad-based AMLEGALS also offers a retainer plan, giving clients a choice between 16 hours per month, plus discounted billable hours, or a discounted 150 hours per year. Firms like Titus & Co say that, though they stick with hourly charges, 65% of the time, they are flexible and increasingly find themselves working on alternative arrangements, such as capped fees, blended hourly rates, daily rates, activity based charges and per appearance charges for court matters. “In my experience, Indian law firms are more disciplined when it comes to billing and are pretty flexible in offering various billing options,” says Harshitha Thammaiah, general counsel at Xiaomi in Bengaluru. Brus Chambers has come up with “Euro 99”, a package that runs until 31 March 2020, where clients pay €99 per hour. All disbursements and taxes are calculated on actual work, unless part of a package offer the firm has drawn up. Euro 99 calculates only the time the lead partner or the lawyer spends on a matter, even if there are other lawyers, solicitors and paralegals possibly working alongside, explains partner Binita Hathi. The firm commits to providing a dedicated partner or a lawyer, who will lead, coordinate and will be directly responsible to meet client requirements. Clients are expected to spend a minimum of €648 to take advantage of this package. At least on paper, this is the kind of simple package that corporate counsel, such as Ganapathy, desire. Lalit Bhasin, managing partner of Bhasin & Co, encourages clients to “avoid litigation and arbitration and promote mediation and settlement of disputes. In India, as possibly elsewhere, a bad settlement is better than a successful litigation”. Other firms help their clients monitor budgets to different degrees. Zia Mody, the managing partner at AZB & Partners, says she holds discussions at the beginning of a matter and at appropriate milestones. Gopika Pant, managing partner at Indian Law Partners, operates in a similar way, informing clients at every stage of a transaction and “whenever we feel that there could be an expected breach in our original estimated fee due to unforeseen events or transaction delays”. 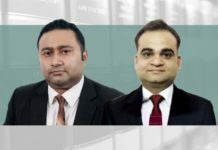 Sim and San provides clients with quarterly budgets while Lall & Sethi’s custom “ClickIPR/Pinksheets” billing system gives clients a bird’s eye view so they can keep track of legal budgets and determine how much is left in real-time. Little & Co’s Kapadia will sometimes refer matters to junior colleagues to help clients stay within budget. Rajiv Chandok, the managing partner of Chandhok & Company, suggests minimizing internal meetings and encouraging text, data and email exchanges to reduce billing. SNG & Partners helps train their clients’ junior lawyers so they can complete day-to-day legal and research work as well as standard documentation in-house, says Rajesh Gupta the firm’s managing partner. Daizy Chawla, a partner at Singh & Associates, endorses this approach, suggesting that corporate counsel should try to handle 70-75% of a matter internally to save on costs. Rajaram Legal creates templates for each fund that it works with and draws up Gantt charts that set out overall timelines to closure with specific time frames for due diligence, documentation, etc. “This helps a great deal to maintain discipline and close the transaction within the exclusivity period as there is accountability throughout,” says Rajaram.